I've recently and amazingly luckily come into possession of an older Equipe. The board is fabulous, I've been having a whale of a time with it. In a weird way it is also a little too familiar, from 15 years of absence I'm right back where I was, skill set virtually unhindered, same stoke. I would carry on with this happily for a while - however, there is someone who is mad keen for an Equipe like mine and intends to race it in the retro class and will possibly use it for the greater betterment of the sport more than I will. Searching for new horizons and knowing what I'm like, I'm putting out for a Division 2 board. Just fishing seeing what, if anything, is available. So.... Who has one? Something decent. I'm a shipwright so am not afraid of repair although I don't really feel like resurrecting a board from the dead. wondering if you've sailed a D2 before? if so ignore everything I'm about to write. the D2 is not what I'd call a do anything user friendly piece of kit. if you like the longboard thing and want to turbo charge things maybe keep an eye out for a phantom. If you ever get around to cold-molding a DIV 2, I'd been keen to get/buy an offset table (lines plan) from you to build one in strip plank. Thanks Gestalt, Your comments are valuable. I have sailed a D2 before although it was a long time ago. Strangely 'turbo charging' things is kind of the opposite of what I'm looking for. At least in my version of what I mean by that phrase. I've done an awful lot of boat sailing at less than 6 knots that has thrilled me no end, I've also spent (literally) days offshore not dipping below 15knots hour after hour, going to sleep and waking up still clipping along. The speed I'm doing in knots matters to me not at all, If I'm passing others or being passed I don't care. I'm excited and drawn in by a sense and a feeling that I like that is hard to describe. Something like balanced efficiency. I stopped windsurfing previously because it was nothing unless you were planing and it was fun but ultimately it became a bit the same all the time. I got bored. It seems the sport has gone further and further down that road in my absence. Although raceboards are far better in this regard than slalom or formula, to a certain extent there is still a fundamental shift at the threshold of planing. A plateau to be leapt up onto. I'm interested in smoothing out that transition. It may be that it is a path that I begin and then step off, I'm ok with that. It might be challenging, I hope so. Sure, I'll keep that in mind. It will probably mean measuring a few up and drafting a set of lines. 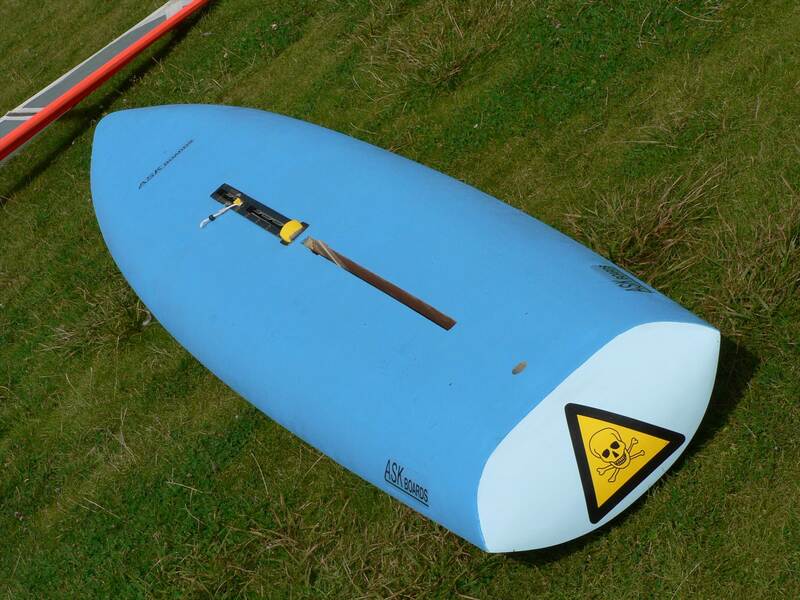 Do you have access to any well regarded boards by any chance? I sent those pics to your email. Thanks Steve, I got them. yeah I'm with you. I have no hesitation at going out in light winds. for me it's either a windsurfer one design or my wind sup for the surf. 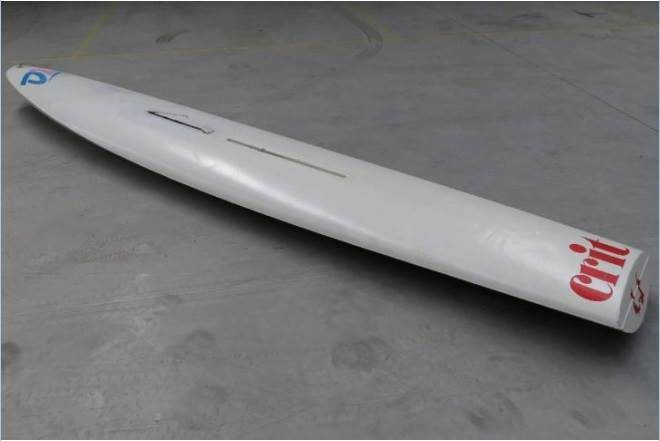 if what you are seeking is a do anything go anywhere indestructible and cheap setup that has no line dictating the threshold of planning then for me it is the windsurfer one design. looking at what has changed over the years I see it as this. 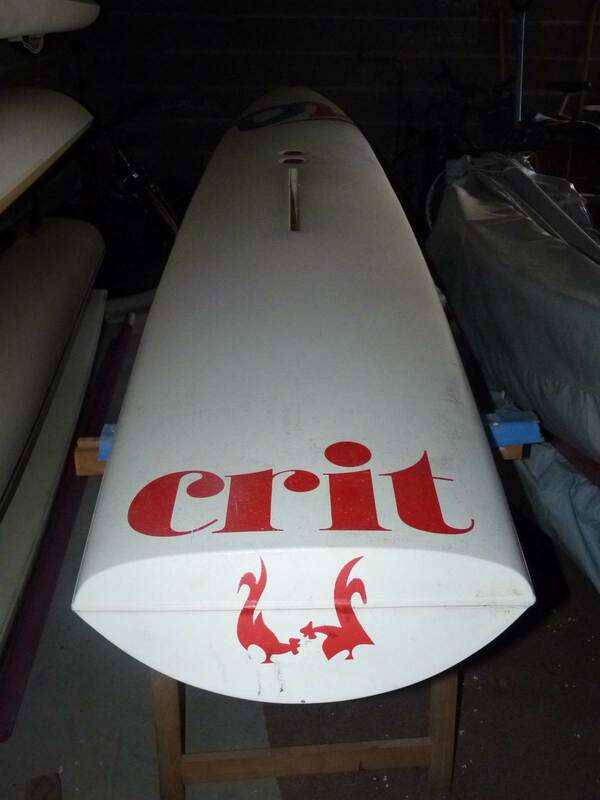 board and sail design is miles ahead of where it was back in the day. boards had their volume distribution rearranged which made them plane in less and less wind and become far more stable. sails developed much broader working wind range, got easier to handle and fins received the focus they deserved. I'm glad to see longboards back on the agenda. when all is said and done the one thing that longboards are doing that i see as a real bonus is it's putting guys with experience on the water at the same time as the guys trying to learn the sport for the first time or returning after years of life getting in the way. previously the only contact the newer windsurfers had with those with more hours under their belt was when the white caps showed up. Gestalt, the D2 has an amazing feel and performance in light winds. Where the beloved Wally rattles and bounces, the D2 has a bewitching combination of slicing and gliding upwind. It's also damn quick and will whop a Raceboard in the light stuff (although RBs are a lot harder to beat under big modern rigs). All are great, but in different ways. The feeling of railing upwind on a Division 2 board is out of this world. Sure, they are slow on a planing reach and very hard to handle, but that's fun because it means that there's a boardhandling challenge even in moderate winds. It's hard to describe the feel of a D2 or to find an analogy for them. Maybe the closest I can come to is a track (velodrome) racing bike or an International Star or Int Canoe, but those comparisons don't mean much to many people! Salty, I have a Lechner A390 in the rack if you want to measure it, but I'm in Canberra these days so it would be a while until it may be in Sydney. It's the very hard to handle part of a D2 board that killed it for me. Yes the 'round hull' By all means get digging in the back of the shed my friend! Let's see what you have got! Great wisdom there I think. I have an old mistral M1 division 2 board. Definitely not for sale. It came up on seabreeze sales a few years back. It is likely to make a reappearance this summer once a few other projects are out of the way. I am told that in the day the crit had a more pointy (as opposed to rounded) bow, which made it slice through the water better than the mistral. 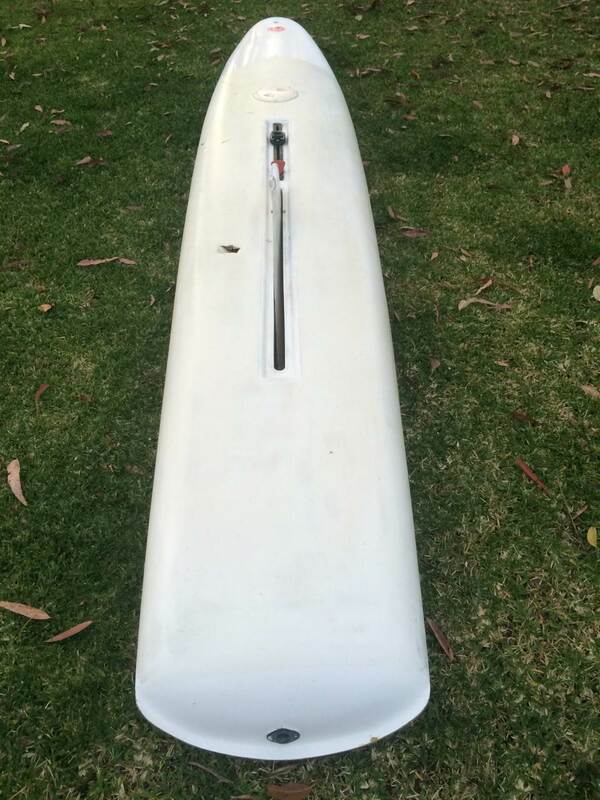 There was a windglider for sale here in Tasmania a few months back (gumtree) but I have heard these were not the nicest handling of D2 boards. I do not know a huge amount about D2 boards but have a soft spot for longboards generally, so couldn't pass up the mistral. I could not agree with you more. What you describe about light wind sailing is what originally got me into windsurfing. I like my planing sessions as well as the next guy, but when the wind is marginal, an old longboard is much more fun that just getting planing on big gear, even if it's a few knots slower. 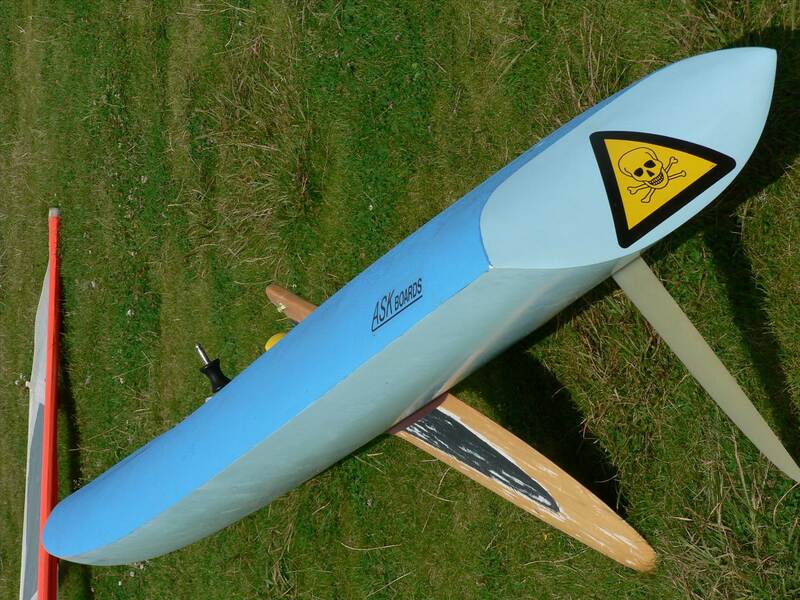 I just wrote a rather lengthy blog post about the "plateau to be leapt up onto" a few weeks ago (boardsurfr.blogspot.com/2015/08/maximum-speed.html). I'd love to have a D2 board, too. I remember sailing round bottom boards 35 years ago - both how challenging they were, and how much fun they were when the wind was really light. D2 boards are almost impossible to find here in the US; hopefully, you'll have more luck. I think the Crit's bow was fuller in plan form in the front foot, but deeper which made it more of a Vee shape which was probably better in waves. One of the Crit's other advantages was that the rounded rails were more comfortable and allowed more grip than the M1's. The later Lechner A390 actually hard rails that were squarer on top, which stopped water from "wrapping" around onto the deck and increasing wetted surface drag, I think. The design development in D2s went interesting ways. I had a TC Win, designed around '82 by Georg Lechner, as well as the much later Lechner A390 used for the Olympics, with a Tiga in between. The later Lechner had much more rocker and a Vee shape instead of a U shape in section. 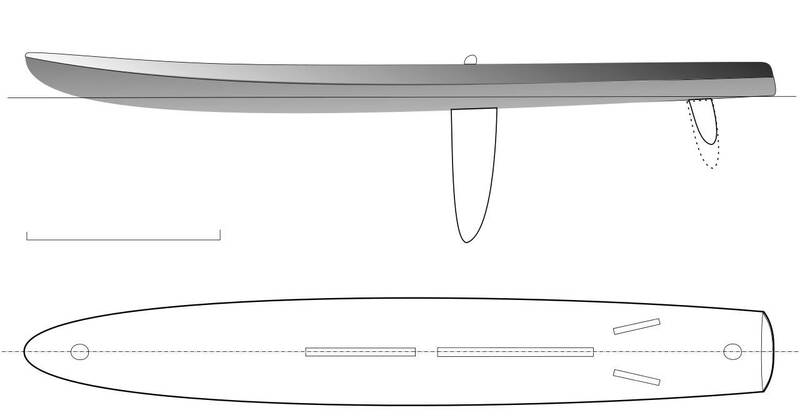 The extra rocker reduced the waterline length but allowed you to get the bow up nicely when planing downwind, and the Vee shape meant it was easy to roll the board over to get it on the rail since there was less volume in the bilges. They really were a fascinating class in design terms! 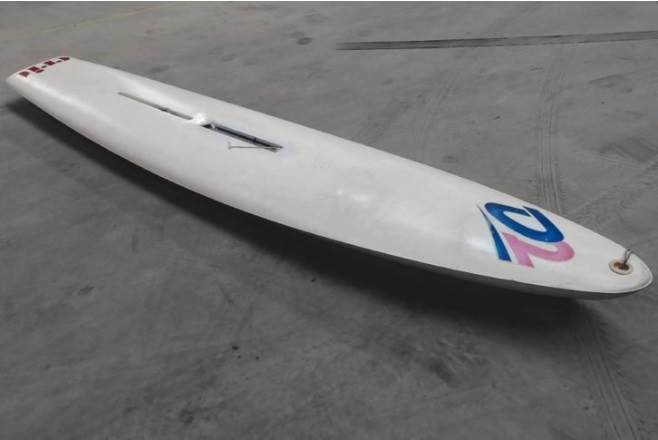 The Windglider was not a D2 board - more a Div 1 board, which was the class for "flatboards" like Wallies, Dufour Wings, etc. Do you have the know how to lift a set of offsets from the board from which I can work up a lines plan? Well, this is certainly a good start! Lechner A390. To those that have experience of the A390 and other D2 boards, how does the A390 compare? Does anyone in Sydney have one that they would feel ok about me having a spin around the bay on? Download the file and freeware and off you go . 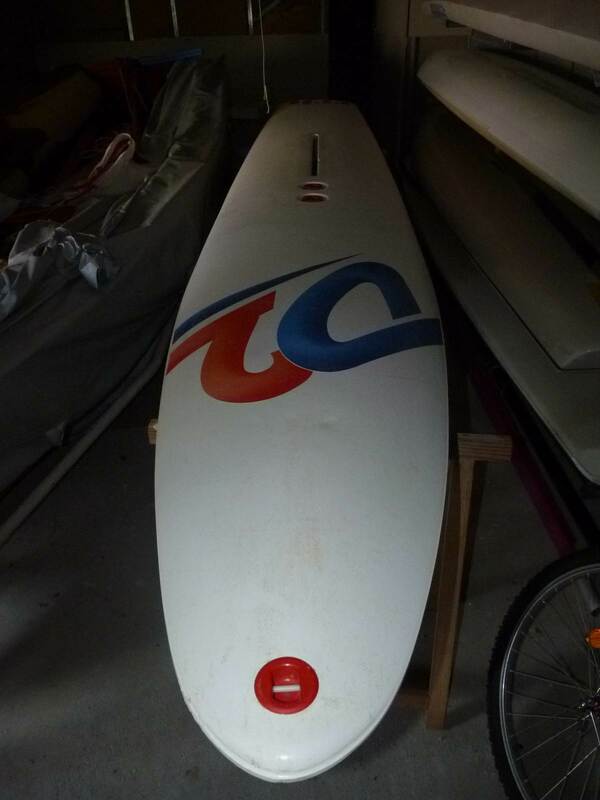 I have a Lechner copy made years ago in Holland by one of the best (schaped in foam) and glassed with 0 rocker) super fast in 4 to 10kN , it will not rail as good as the Original and big fun in lightair . That is where I sourced the A390 lines from, I have just screen captured the sections view in freeship. Your copy looks fabulous! Do I understand correctly that you had the rocker changed slightly? Can you fill in the details about that? 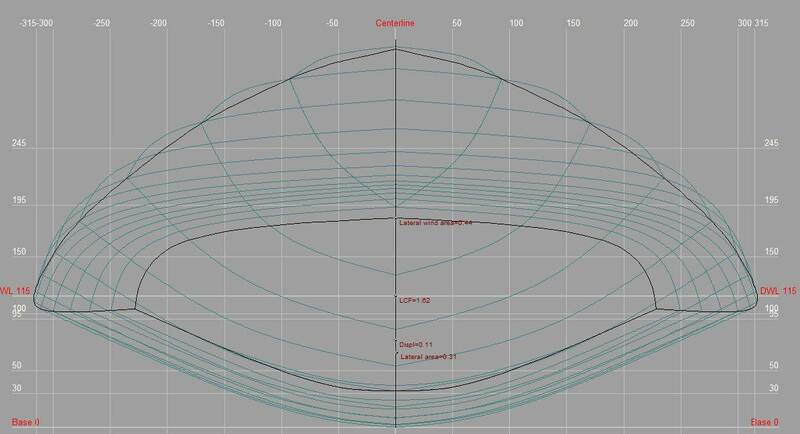 Yes , the scoop/rocker is near to flat from mastrail to tail . Here is a recent freeship version that will work. Steve (Tinlyds) has taken on the '91 Equipe, sounds like he's landed some nice sails too so look out racers! Thanks to a heads up from fjdoug I've just picked up this D2 pictured. It's in need of some work to be sure. There's a hole in the deck, the mast track is seized solid, the centreboard provided is clearly not intended for this board, it's splitting at the join a bit at the bow. Other than that the weight feels good and the price was certainly right! 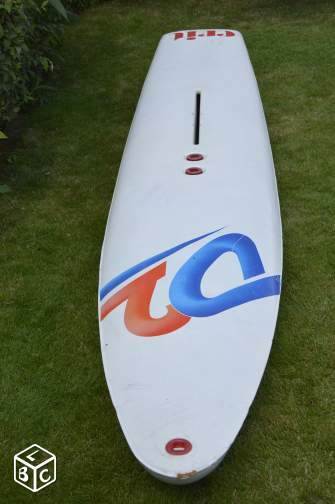 - Ex Olympic sailor seller says it's a 'Doberman' D2 from France. I also picked up an older but good condition IMCO 7.4 while I was there and reckon these two should make a decent pairing for the time being. Update: It's a Dobblerman DB2. The guys on the 'Open Division II' Facebook page are well pleased that I've found one over here! Thanks again Mikey you're a champion, I'm glad you found a board and really appreciate what you did by selling me the Equipe. Just goes to show there are still good guys out there. No worries Steve, it's a good thing all 'round!